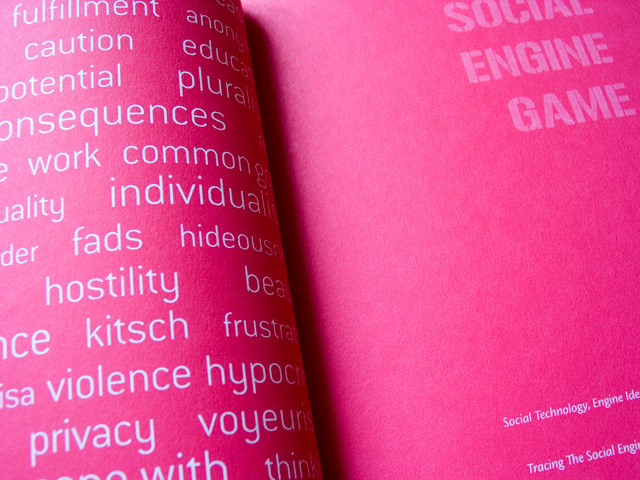 The book is dedicated to artistic project Social Engine. It comprises essays that overlap the fields of interest of the contributing authors Andrei Siclodi, Zoran Erić, Bill Seaman, Igor Balaž, Staniša Dautović, and the issues that Urtica’s Social Engine dealt with. 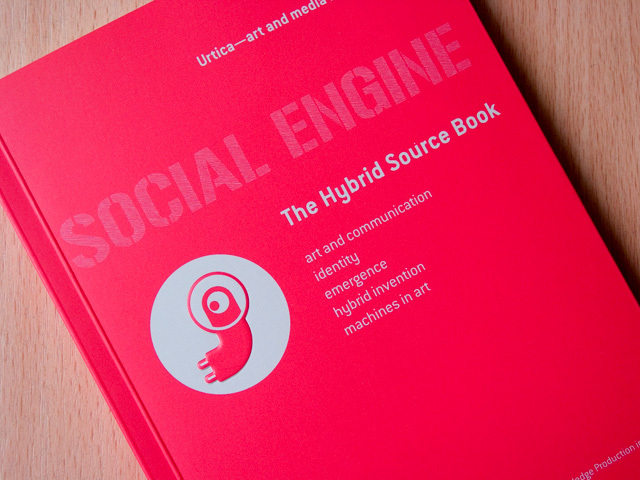 The art project Social Engine started up within the framework of the artist-in-residence program at Künstlerhaus Büchsenhausen in Innsbruck. This book marks the beginning of a new series of publications released by Künstlerhaus Büchsenhausen. 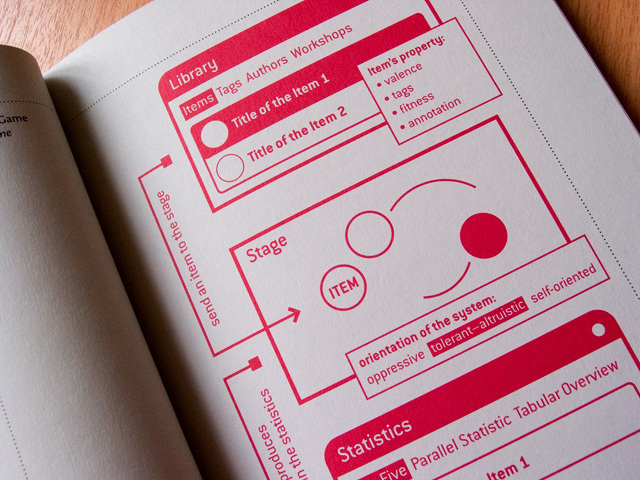 Büchs’n’books—Art and Knowledge Production in Context brings together publications by artists and theoreticians who conceive of their work as a specific contemporary production of knowledge, as well as anthologies that deal contextually with this complex field. The authors in this series are, for the most part, alumni of the fellowship program for visual art and theory at Büchsenhausen, a program for supporting artists and theorists active in this field. Urtica’s Social Engine, in my opinion, meets this precondition. The project combines knowledge contingents from the fields of art and design, as well as from information, evolution, and cognition theory to form a model of representation of reality whose potential for conflict goes well beyond the cultural sphere. Insights won through the process of artistic interdisciplinary research and knowledge processing here almost inevitably lead to the formulation of simulative models of action that, hardly surprisingly, turn out to be instructive indicators of an experience of reality. And when we assume that the field of art is constituted as a sphere for rehearsing the social forms of action of various subjects, politics, and economies, we indeed may regard the Social Engine as a “battlefield of ideas,” which establishes itself as a particular zone of the public sphere. This conclusion largely corresponds to the verdicts of communication and evolution theory. A fact that, no doubt, amounts to a surplus value of knowledge.